It’s a true desert landscape in Nambung National Park, where the weathered rock spires of the Pinnacles rise out of yellow sand dunes. Yet the park sits on the deep blue Indian Ocean, along an idyllic stretch of coast three hour’s drive north of Perth. 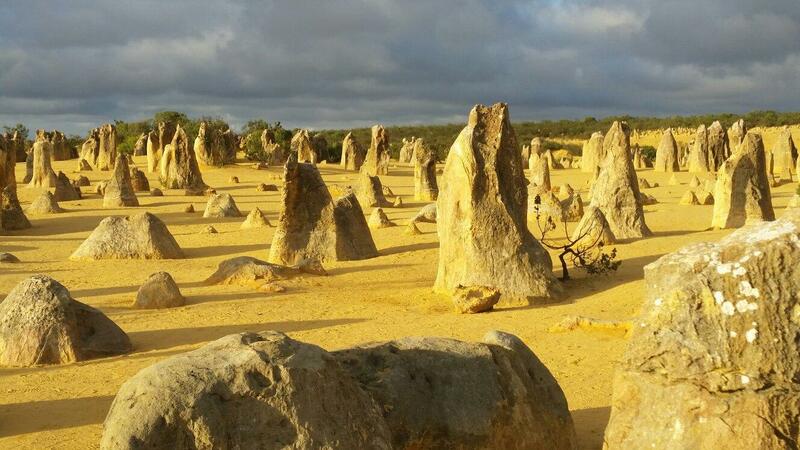 After experiencing the eerie Pinnacles, stay in the fishing village of Cervantes, with its white beaches, coral reefs and Lake Thetis, a salt lake teeming with living fossils. 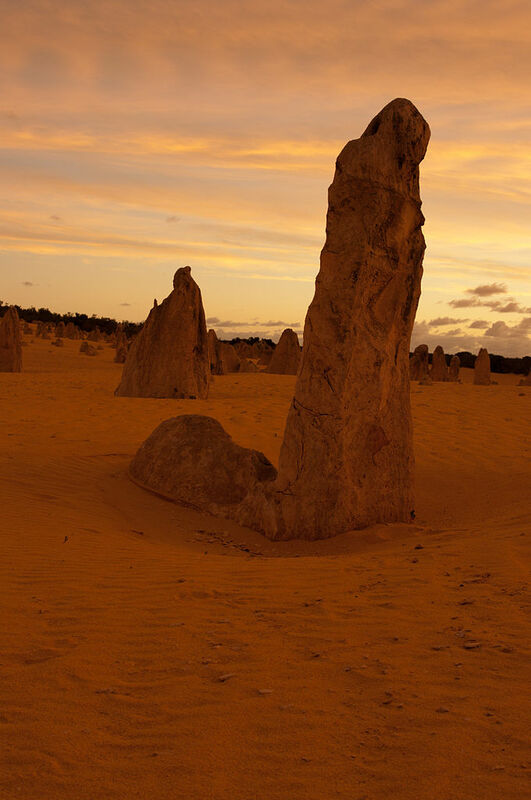 Get up close to a rich array of wildlife in Badgingarra National Parks and discover Jurien Bay’s national parks and idyllic sandy beaches. 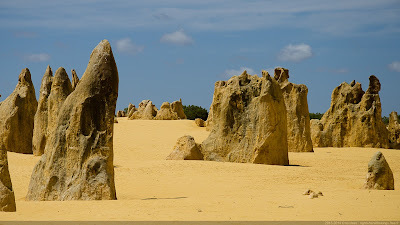 The raw material for the limestone of the Pinnacles came from seashells in an earlier era that was rich in marine life. 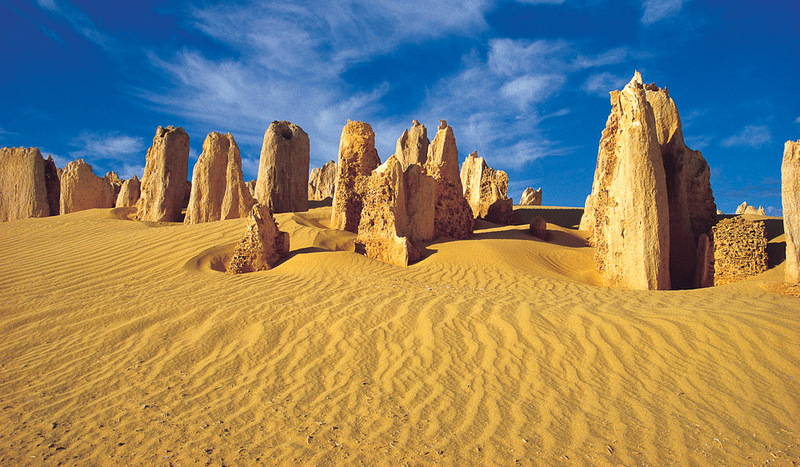 These shells were broken down into lime-rich sands that were blown inland to form high mobile dunes. 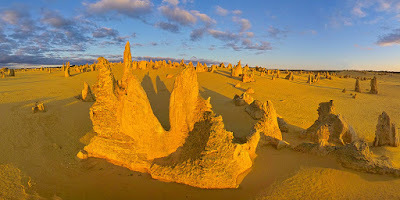 However, the manner in which such raw materials formed the Pinnacles is the subject of debate and three theories have been proposed. The first theory states that they were formed as dissolutional remnants of the Tamala Limestone, i.e. 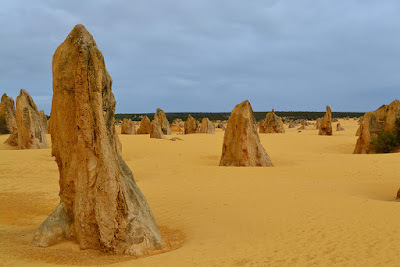 that they formed as a result of a period of extensive solutional weathering (karstification). Focused solution initially formed small solutional depressions, mainly solution pipes, which were progressively enlarged over time, resulting in the pinnacle topography. 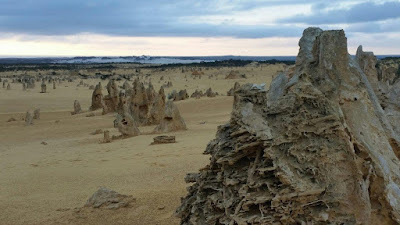 Some pinnacles represent cemented void infills (microbialites and/or re-deposited sand), which are more resistant to erosion, but dissolution still played the final role in pinnacle development. 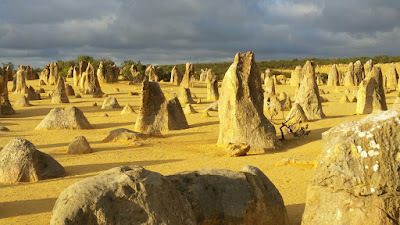 A second theory states that they were formed through the preservation of tree casts buried in coastal aeolianites, where roots became groundwater conduits, resulting in the precipitation of indurated (hard) calcrete. 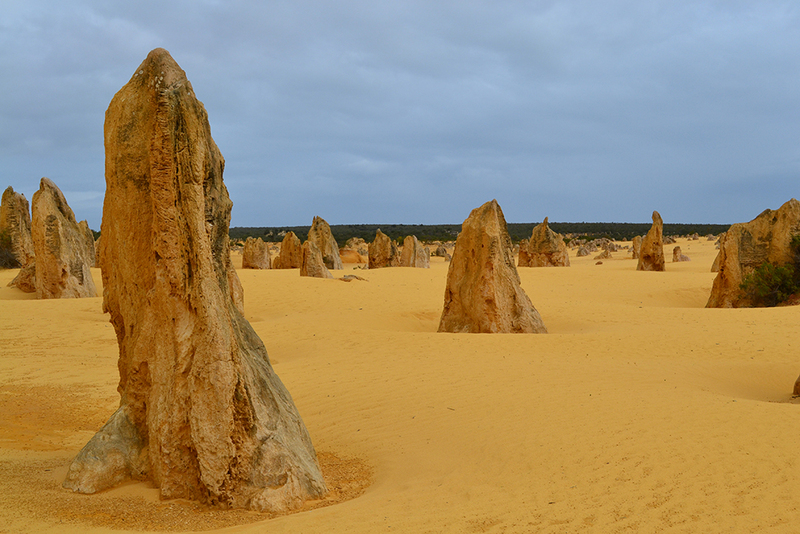 Subsequent wind erosion of the aeolianite then exposed the calcrete pillars. A third proposal suggests that plants played an active role in the creation of the Pinnacles, based on the mechanism that formed smaller “root casts” in other parts of the world. As transpiration drew water through the soil to the roots, nutrients and other dissolved minerals flowed toward the root—a process termed “mass-flow” that can result in the accumulation of nutrients at the surface of the root, if the nutrients arrive in quantities greater than that needed for plant growth. 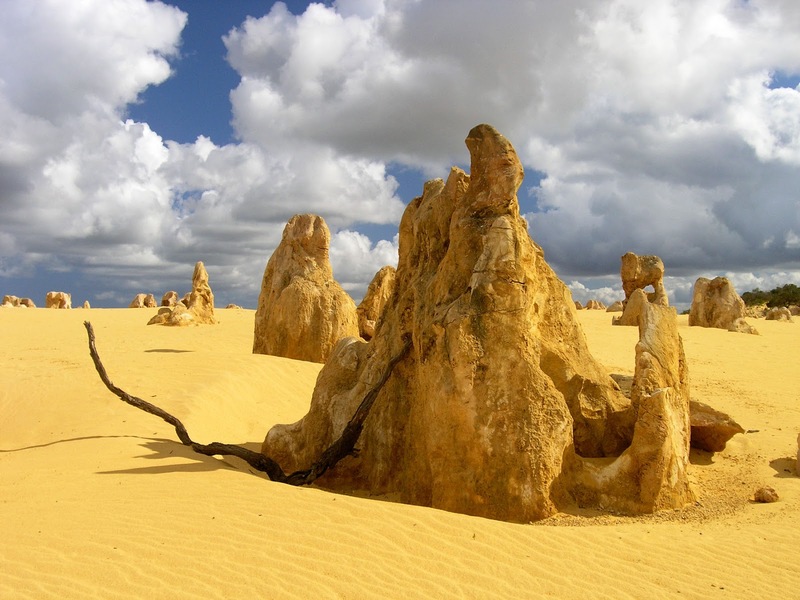 In coastal aeolian sands that consist of large amounts of calcium (derived from marine shells), the movement of water to the roots would drive the flow of calcium to the root surface. This calcium accumulates at high concentrations around the roots and over time is converted into a calcrete. When the roots die, the space occupied by the root is subsequently also filled with a carbonate material derived from the calcium in the former tissue of the roots, and possibly also from water leaching through the structures. 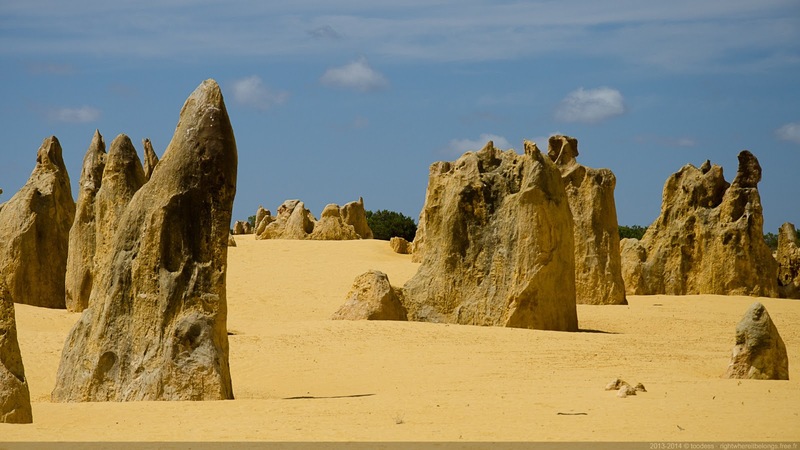 Although evidence has been provided for this mechanism in the formation of root casts in South Africa, evidence is still required for its role in the formation of the Pinnacles.